Mr. Manish Agarwal is the Chief Express Distribution Officer and Executive Director, Gati Kausar, Gati’s cold chain subsidiary. Mr.Manish Agarwal has been responsible for giving the business direction, creating integrated supply chain capability and enhancing synergy with the rest of Gati’s capabilities and products. He has also been responsible for the strategic partnership with Mandala Capital in October 2014.Mr. Manish Agarwal holds 2 bachelor degrees in Computer Science and in Economics from the School of Engineering and the Wharton School respectively, at the University of Pennsylvania. He graduated as part of the Jerome Fisher Program in Management in Technology at the University. He has also done a summer program in international relations and public policy at the London School of Economics. Mr. Manish Agarwal is passionate about the food industry and about creating a sustainable and efficient express network for food and pharmaceuticals in India. 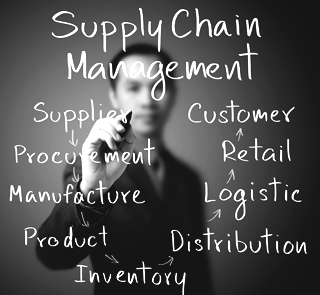 He is largely responsible for improving the efficiency of operations. He has a hands on person and works closely with the team at large both at office and outside office. He has developed a special rapport with all customers having visited them regularly. He has knowledge about best practices related to the cold chain business and brings in international experience which is relevant for development of this industry in India. 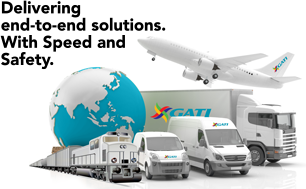 As part of Gati’s leadership team, he is also involved in other key strategic initiatives of the group, including sales and solution selling.